Health Canada’s proposed regulations on how cannabis edibles and extracts will be sold in Canada were released Thursday, including a hard cap on the amount of THC these products can contain. In a statement, Health Canada said edibles will be permitted for legal sale in Canada no later than Oct. 17, 2019, exactly one year to the day since recreational cannabis was legally available for sale in the country. Health Canada stated there will be a cap of 10 milligrams of tetrahydrocannabinol (THC), the main psychoactive ingredient found in the cannabis plant, per package of edibles. Cannabis extracts will be limited to 10 mg of THC per unit and no more than 1,000 mg in a package. Cannabis topicals, such as lotions, will be limited to 1,000 mg or one gram of THC per package. In the regulations, Health Canada outlined that edibles are defined as “products containing cannabis that are intended to be consumed in the same manner as food” that can be eaten and drunk. Extracts are “products that are produced using extraction processing methods or by synthesizing phytocannabinoids” such as vape pens, and topicals are cannabis products used on skin, hair or nails. Cannabis oil products, which are currently legal and sold across Canada, would also be included within these specific product classes. Health Canada said it will release the formal draft regulations for cannabis on Dec. 22. The public consultation period will be open until Feb. 20. “By establishing a strict regulatory framework for these new cannabis products we are keeping profits away from criminals and organized crime. I encourage all interested Canadians to share their views on the proposed regulations,” said Bill Blair, the minister of border security and organized crime reduction, who is responsible for the rollout of legal cannabis in Canada, in a prepared statement. Which form of cannabis are you most likely to consume? While estimates vary on how big the Canadian market for edibles will be, sales of products that include pot-infused candy and drinks in Arizona, California, Oregon and Colorado in the first nine months of 2018 reached US$611 million, according to BDS Analytics. Meanwhile, the cannabis topicals market is estimated to make up less than two per cent of the total legal cannabis market, accounting for US$59 million in sales in 2017 in California, Colorado, Oregon and Arizona, BDS said. Concentrates, which include extracts, is the fastest-growing cannabis category, surpassing dried flower, edibles and topicals in terms of sales expansion, with estimates that sales could reach US$1.8 billion this year, BDS said in its report. Health Canada said cannabis products other than dried cannabis accounted for an average of 43 per cent of the total market in Colorado, California, and Oregon between January and July of this year and expects a similar portion to unfold in Canada. Other draft regulations that will be included in the release include strict new manufacturing controls for the production of edible cannabis to prevent contamination, outlawing the production of food and edible cannabis in the same facility, banning certain flavours that are appealing to youth for vaping purposes, and restricting any claims that promote health benefits on topical labels. Edibles and extracts will also be restricted to plain packaging. As well, all edible cannabis products would need to be safe to consume without refrigeration or freezing. “The killer app will be figuring out how you excite and release the voice of the customer because that’s your least constrained and convincing channel,” said Rebecca Brown, founder and chief executive officer of Crowns Agency, a cannabis marketing consultancy, in an interview with BNN Bloomberg. Health Canada also stated in the draft regulations that Canadians can possess a maximum of 7.5 grams of these cannabis edibles, extracts or topical products, which is the equivalent to 30 grams of dried cannabis. Chad Finkelstein, a partner at Dale & Lessmann LLP, stated in a phone interview with BNN Bloomberg that Health Canada’s draft regulations on edible cannabis products fall mainly in line with U.S. states that have legalized and regulated recreational pot. Brendan Kennedy, chief executive officer of Tilray Inc., which just announced a US$100 million partnership with AB Inbev to develop cannabis-infused drinks for the Canadian market, said the Health Canada regulations were in line with expectations. 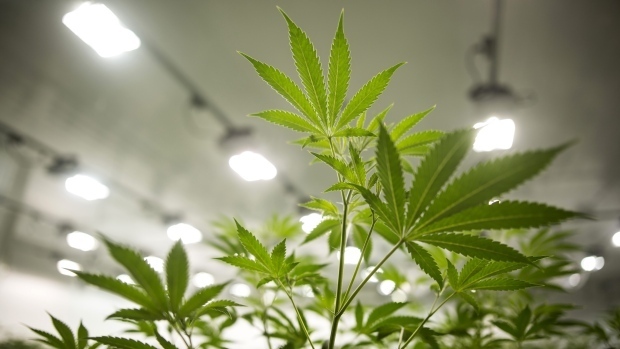 Canadian cannabis producers like Tilray as well as Canopy Growth Corp. and Hexo Corp. have linked up with major U.S. alcohol giants over the past year to develop beverages that contain ingredients such as THC and cannabidiol (CBD), a relatively new product category. It’s still early days in the legal cannabis space, Kennedy said, adding consumers will eventually become informed on these new cannabis-related form factors.